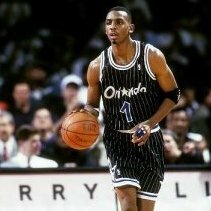 Favorite Magic Players of All Time - Page 6 - Orlando Magic Forum - TrueBlueNation.com - The Official Orlando Magic Fan Community! 1. 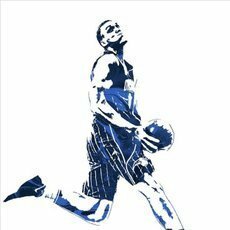 Penny - I was a kid back then, just got into the NBA, and he became my favorite player straight away. Being in Europe it wasn't easy back in the day to get a lot of news about the game, even posters, merchandise, etc. But I remember Lil Penny commercials and also remember him being a guest in one of the Cosby Show episodes. Which was a huge surprise to me, as I loved Cosby (of course it was way before all of the things about him came to surface), and I loved Penny...both of those together = mind blown. 2. Nick Anderson - first pick, really gave it all for the team...and damn be those FTs. 3. Shaq - Even though I hate the way he left, and how he turned out to be a huge ego maniac, I still like the guy. Nostalgia I guess. And, also, my friend and I, when we played ball, we imagined that we were Penny (me) and Shaq (him). He was chubbier one. So, there's that as well. 4. J.J. Redick - More recent one, because I always liked good shooters, and I guess my game now resembles his the most (or Korver's, but that's pretty much the same thing). Run, catch, shoot. Honorable mentions - Dennis Scott, Horace Grant, Rashard Lewis, Darrell Armstrong.